You’re ready to play bigger. In the clients you work with. And how you’re growing your business. At this point, you're past the basics. Now it's about taking what's working and supercharging it. Identifying what's tripping you up and breaking those patterns. And making smart decisions. So you can grow bigger, faster. But it's hard to do it alone. You just don't how to make that happen, and you don't have time to teach yourself. It's time to work with a partner who sees your vision and can help you get there. Check out the Success Stories page for more. Leah has helped me unlock the secret to growing my sales. I have a way to stay organized, and I know exactly where to focus my energy. 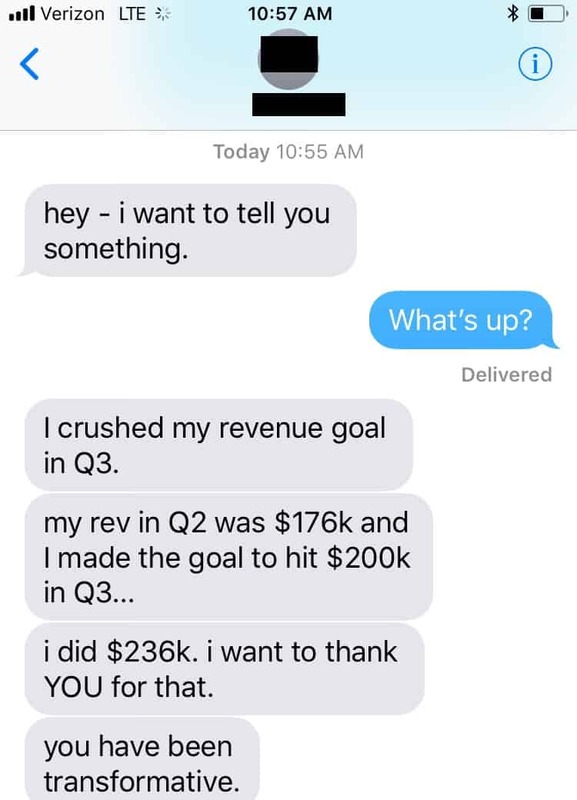 I also have an incredible visibility into my pipeline, so I know how much revenue I stand to make in a way I never have before. And I finally have a way to do outreach to potential clients in a meaningful way. But beyond what I can do now, I think the biggest change is in how I feel: more confident about selling, more in control, and finally able to go out and grow my revenue. Working with Leah has been a game-changer. 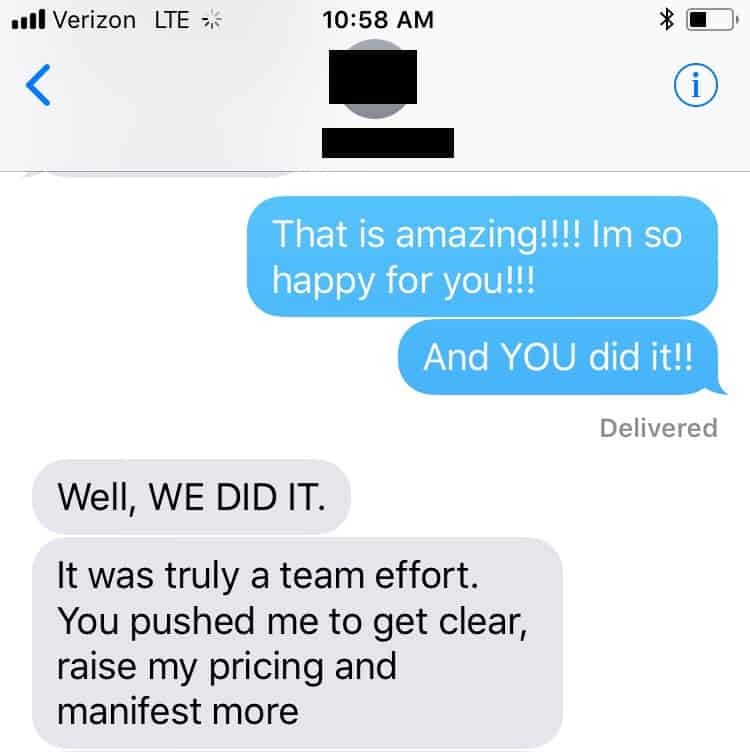 We couldn't have done it without her deep understanding of the sales process, her help thinking through how to move opportunities forward, and her ability to mold the CRM so we can use it as the engine to grow our business. In the early stages of a new business it can be hard to make the decision to invest in systems, but getting Leah's help is some of the best money we've spent so far and it was worth every penny. Leah has this exceptional ability to help you cut through self doubt, quiet the noise, and help you step into your awesomeness. She has a gift for understanding what’s holding you back, then not only empowering you, but mapping out ways to help you overcome your roadblocks. I consider myself lucky to have her in my corner. We can't thank Leah enough and can't stress enough how valuable she is. If you're in business for yourself or thinking about it, let her be your secret weapon. Leah is a savvy entrepreneur, sales maven, and tough-but-tender business coach who provided us with the necessary guidance and infrastructure to get us out of Post-it note hell....and gave us much more. She helped us stay organized and strategic, brainstormed with us, kept us on target, and challenged our thinking when we needed to consider different approaches. In additional to helping us with numerous business issues, we must also mention that we really like her. You will, too. In just a short time since I’ve been using your strategies, I’ve seen a huge difference in how potential clients respond to me. Before, when people asked me what I do, I used to talked about my services. Now I lead with value, and it totally changes the conversation. I used that approach with a woman I met recently who would be a great client, and as soon as I said my value statement, she said “Oh! Tell me more!” We’ve already set up a meeting with her and her business partner. But the best part is that it feels totally natural! I have meetings on the schedule from three of the people I emailed last week and already had a good meeting with a fourth! So your plan is working! !